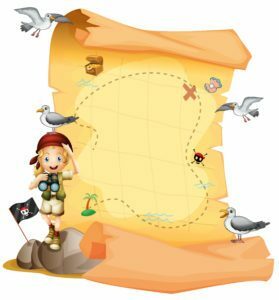 Are you ready for a Pirate Adventure that will save you time and make life easier? Follow the links below to the Treasure Trove! Click on the links below that lead to the Treasure Trove! Tomorrow we will send you more on your quest to the treasure! 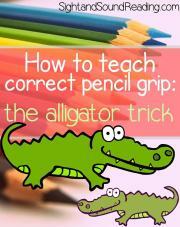 Before we begin... let's help your little students hold a pencil correctly. 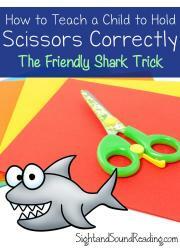 Next, let's work on holding the scissors correctly and practice cutting skills! Practice writing upper and lower case letters with handwriting worksheets! We need to read some Letter A Books! Here is a list of Letter A books, along with some lesson ideas! Next, Let's Make an alligator that eats the Letter A! You need a lot of printable activities to help reinforce the letter A! These letter A coloring Pages will help reinforce the Letter A Sound! 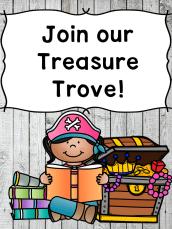 Learn about the Treasure Trove! Watch your email tomorrow to see how we can make your life easier and save you time with our Treasure Trove!